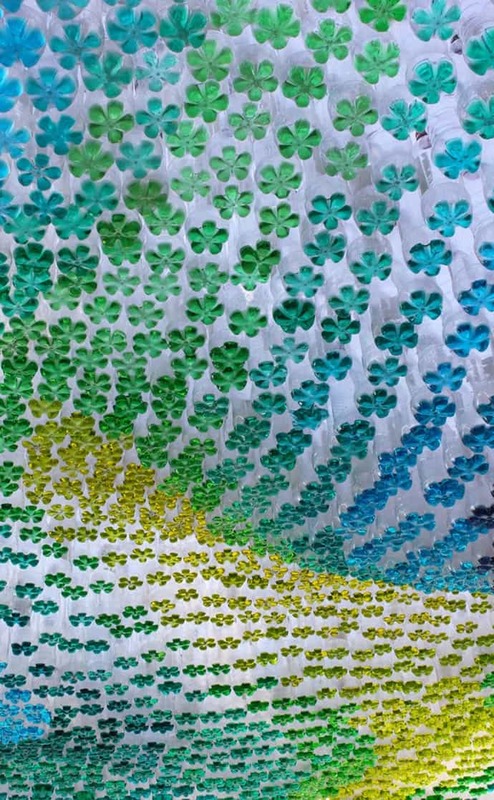 Recycling without limits…designer Garth Britzman of Lincoln, Nebraska used recycled bottles filled with colored water to create stunning topographical shade canopy for a vehicle. 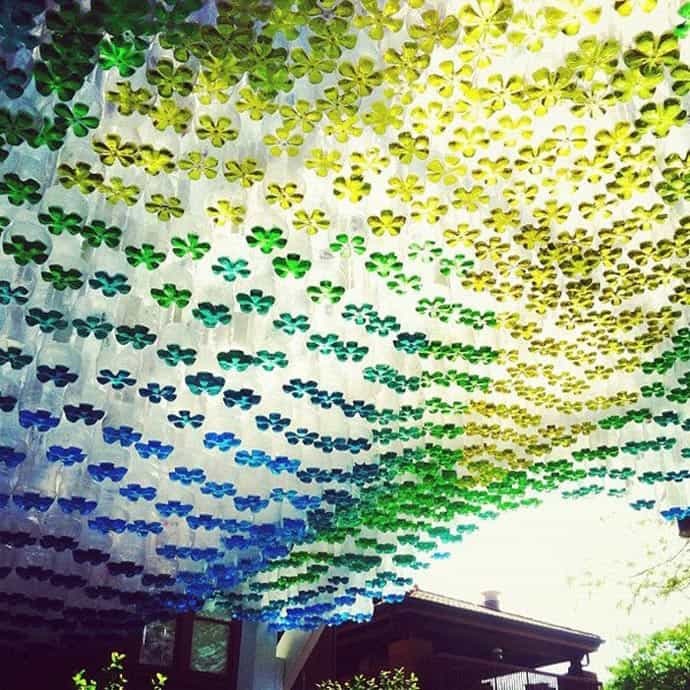 This project reused recycled soda bottles as a canopy under which a small park is created. 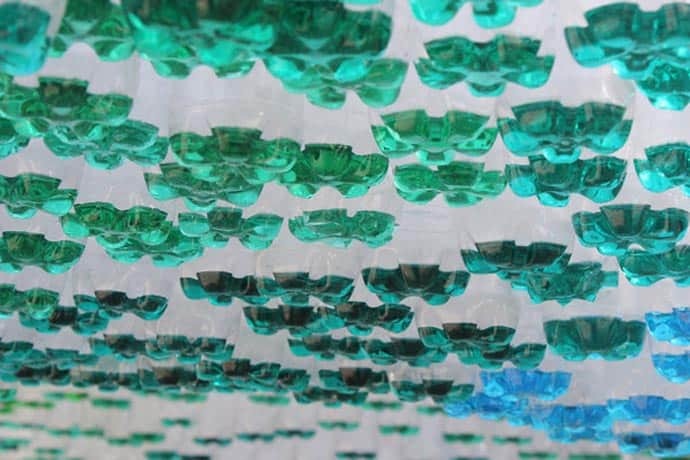 An intriguing environment is created where one can explore the surface qualities of the bottles at eye level. 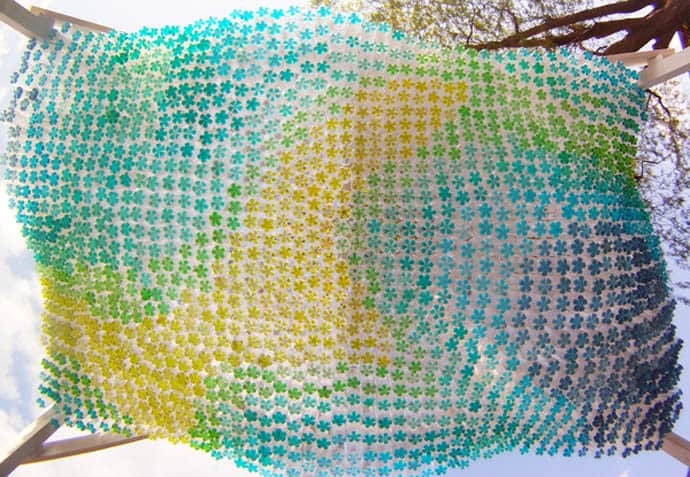 Additionally, this project sought to stimulate creative alternatives for recycling and reusing materials. I love how the natural shape of the plastic bottles makes the pooled water look like leaves. 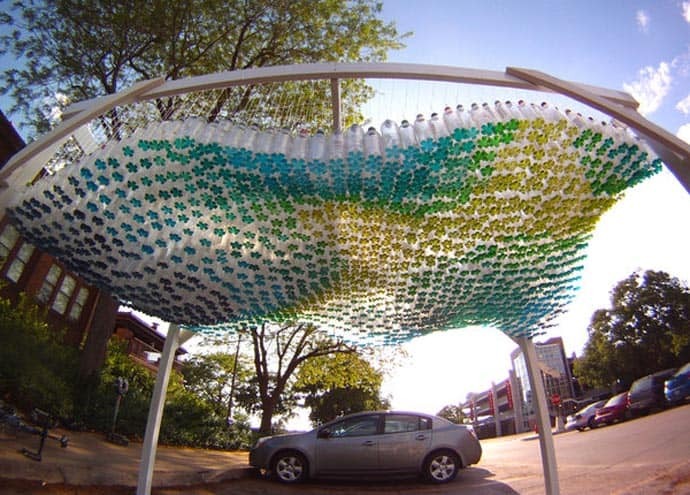 Bottles partially filled with water.